​Leicester are one of five Premier League clubs interested in signing Fulham striker Aleksandar Mitrovic following the London side's relegation from the Premier League. Leicester are expected to be looking to sign a striker this summer to provide competition for Jamie Vardy and Kelechi Iheanacho, as Shinji Okazaki will be allowed to leave once his contract expires and Islam Slimani is set to be sold. According to a report in Serbian publication ​Sportski Zurnal, Mitrovic is on the shortlist of strikers that ​Leicester will be looking to sign in the summer. Fulham's relegation was confirmed on Tuesday following their 4-1 defeat to Watford. ​Mitrovic has been the Cottagers' best player in a dire campaign; and is their top goalscorer with 10 goals. 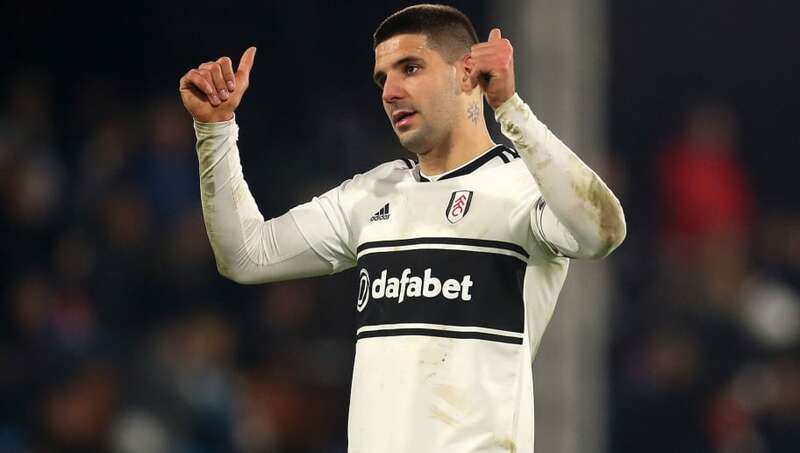 Mitrovic signed for ​Fulham on loan from ​Newcastle in February 2018 and played a key role in their path to promotion, scoring 12 goals in 17 league appearances before joining the west London side ​permanently at the end of the season. The report states that Everton, ​Tottenham, Southampton, West Ham and Chinese club Guangzhou Evergrande are the other clubs that are interesting in signing the 24-year-old. The Serbian's exit is expected to be part of a mass exodus of players following Fulham's relegation to the ​Championship.